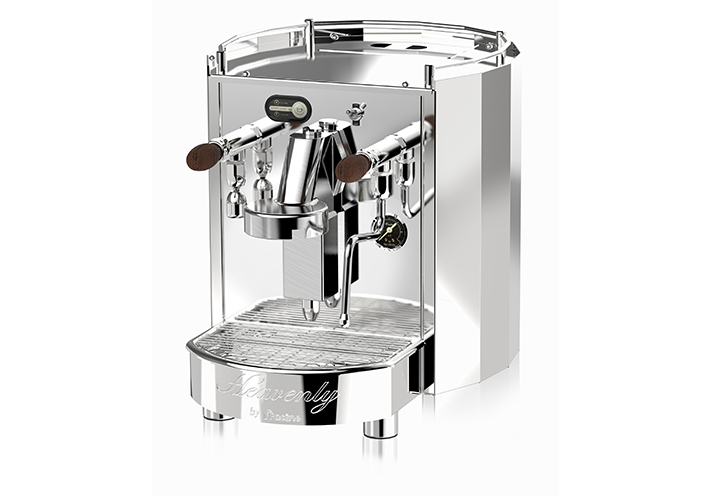 Fracino, creator of the world's most powerful espresso coffee machines, presents the Heavenly. These contemporary, compact, manual fill machines are particularly relevant in venues where space is at a premium or plumbed water is not available. Dynamic and sleek, they are the latest low volume professional/semi-professional coffee machines and are reliable, durable and user friendly. Suitable for ground coffee, pods or capsules, the stylish machines are ideal for sites requiring between 50 and 70 coffees daily – revolutionising the espresso experience in offices, hairdressing salons, boutiques, pubs, bars and the home. With the facility to make two drinks and steam milk simultaneously, these unique machines feature a high-powered element and a full sized commercial group, ensuring production of the finest coffee. The Heavenly is the ideal small machine for making Cappuccino's Lattes, Espresso etc. With the facility to make two drinks and steam milk simultaneously, these unique machines feature a high-powered element, and a full-sized commercial group ensuring production of the finest coffee. Complementing today’s vibrant bar and café culture, the range is perfect for outside caterers or larger venues seeking the flexibility of a portable espresso machine for great coffee ‘on the go.’ as this is a 'hand fill' machine, so no plumbing problems. This is the new Heavenly model for 2018 onward. Featuring Electronic not Semi Auto & Wooden Handles with various updated configurations.